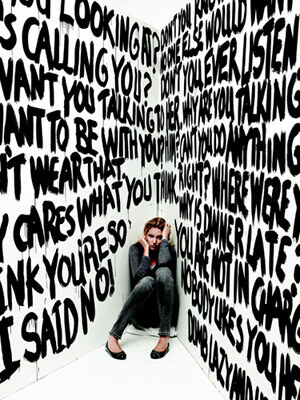 How to discover if you have being soffering from verbal abuse? Actions of Signs of verbal abuse exhibited by the abuser are:gnoring, ridiculing, disrespecting, and criticizing others consistently. Consider the things people value in relationships and the things they want in a healthy and strong relationship. These could be respect, understanding, forgiveness, acceptance, love, affection, responsibility, hope, faith, trustworthiness with the ability to connect deeply with someone, and the freedom to be oneself within healthy boundaries. When we think about what constitutes a healthy relationship, it becomes easier to identify when we are in an unhealthy relationship. Find a trusted friend, a support group, or a counselor to discuss the situation. A network of supportive relationships can strengthen and uplift. Learn about yourself and healthy relationships. It helps to make better choices. Believe and remember that we are all valuable and deserve to be in relationships that enhance our worth, bring out the best in us, and where we feel safe. Salut people! Wonderful website and of course content, in spite of the fact that not everything is working correctly! But oh well as that is up to the owner to fix… Anyway, I just wanted to share this crazy concept to relationships that I came across a few days ago. Evidently there is this organization that claims that all people born on the same day are the same and therefore are most similar. I am about to test out their demos because it sounds a little sketchy to me but you never know.. The way my love and intimate life is going I am at a point where I will try anything.